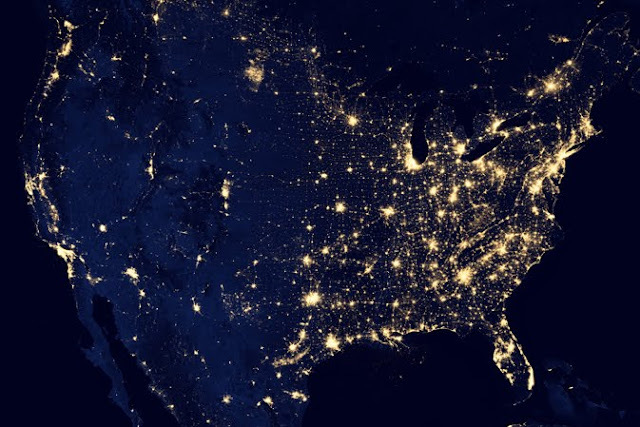 NASA Scientists unveiled an unprecedented new look at our planet "Earth" at night. A global composite image, constructed using cloud-free night images from a new NASA and National Oceanic and Atmospheric Administration (NOAA) satellite, shows the glow of natural and human-built phenomena across the planet in greater detail than ever before. 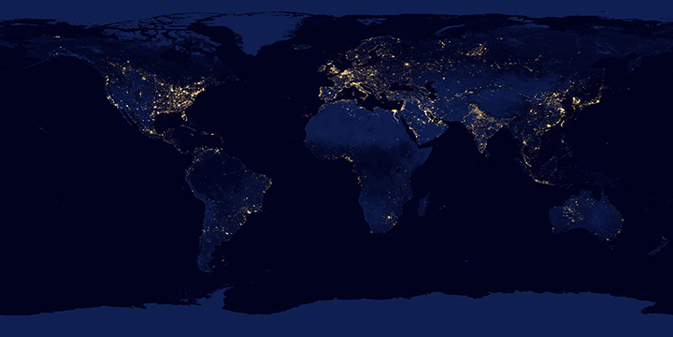 The new, higher resolution composite image of Earth at night was released at a news conference at the American Geophysical Union meeting in San Francisco.